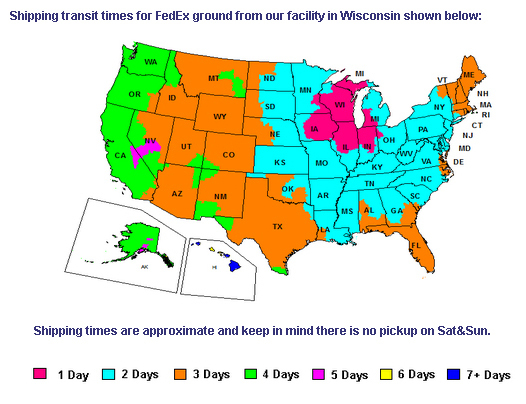 This map is for FEDEX STANDARD, which delivers to RESIDENTIAL addresses Tuesday-Saturday; to COMMERCIAL addresses Monday-Friday. We also offer FedEx Express 2-Day, Overnight, and Priority Overnight delivery. During the checkout process, our FedEx shipping options will display a specific date of delivery for each service, so that you can choose which option works best for you.